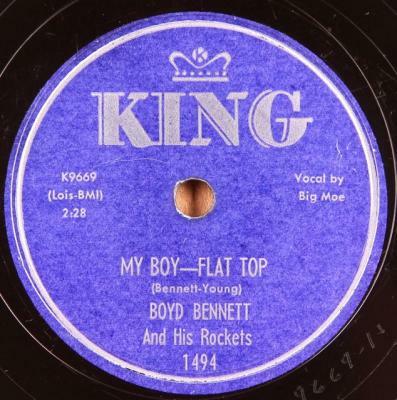 Big hit for midwest country rock and roller, Boyd Bennett and his Rockets. Condition: V++/V+; Plays fine, loud and strong, generally nice quiet surface. 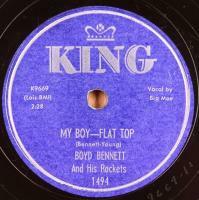 Fairly clean copy, though a couple of spots of light staining, minimal affect on playing. Some light graying of grooves.